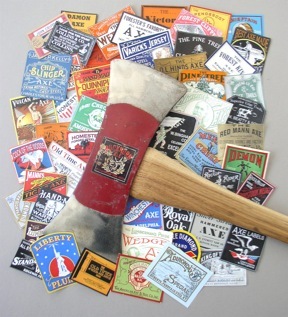 A sampling of some of the hundreds of labels that were used on axes. The axe in the left photo has been etched. 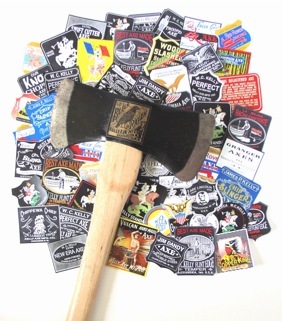 The axe in the right photo bears a paper label. The examples shown include originals and facsimiles redrawn for identification purposes. YesteryearsTools is an Internet Magazine that concentrates on hand tools, the toolmakers and the tool distributors that operated mostly between the mid-1800s and mid to late-1900s. Particular attention centers upon the markings and labels of such makers and distributors, specifically those that can be classified as manufacturers and/or major distributors. In some situations individual makers, such as blacksmiths and certain retailers, may also be topics for discussion. Other articles will concentrate on nomenclature, variety and the diversity of design for certain tools. Under no circumstances are these parameters considered to be restrictions but they do constitute the primary focus of this magazine. Although the emphasis is on American tools and concerns, those falling into similar categories that were made or operated in other countries are also of interest. More specifically, we eventually expect to also discuss axe manufacturers from Canada, Australia, England and some European countries. Included will be an overview along with representations and depictions of the markings and labels that various axe and edge tool companies used. Attention will concentrate on articles related to manufacturers and wholesale hardware concerns that dealt with hand tools and axes. Trades and occupations that utilized such tools will also be discussed. One might expect to read about something to do with the logging or lumbering industries and the hand tools associated with those activities. Woodworking, lumbering and logging trades and occupations share the primary focus but a spectrum of subjects related to the shop and the farm are also intended to be included in this undertaking. How long this undertaking will continue and how diverse it will become will only be determined as time goes by. As of this posting the web site has been available for over five years. The interaction to date has been quite rewarding so the site will continue for at least another year, hopefully longer. Evaluation is a continuing undertaking. Whatever the case, the undertaking is intended to share the rich heritage of our relatively recent past in regard to hand tools, those who made them and how they were marked. Qualifier and Clarifier: The information and graphics included herein have been gathered from numerous sources including but not limited to scholarly research, Internet research, observations, photographs and a number of individual contributions. In many cases the graphics are drawings based on original artifacts, field sketches, photo reproductions and/or component portions cobbled together to form an approximation of what an original may have actually looked like. Any and all copyrighted materials are the property of the individual copyright owners. The original writings and original graphics are the copyrighted property of the originators. Yesteryears Tools and its creators make no claim to proprietary rights to such materials other than where the writings and graphics have been created by the author and/or illustrator associated with Yesteryears Tools. In most cases the illustrations and/or the photos have been created by the author of the articles and are copyrighted. Proper permission is required from the author and/or illustrator before reuse, reproduction or other use is undertaken. Proper credits are required in such a situation. Permission should be requested whenever reuse is intended or desired. Please contact Tom@YesteryearsTools.com for further information. The SHOWCASED HIGHLIGHTS section has been moved to it’s own page. ARTICLES: Some new or extended articles have been added for this posting along with some revisions to existing articles. There have also been additions to the glossary. The recently added articles are listed at the beginning of the menu list, directly after the word HOME. The most recent articles are listed at the top of the contents list. They are reorganized when new listings are added. On the pages with the actual articles, headings in BLACK at the top of the page are either general or related primarily to American companies. Articles with headings in RED are related to Canadian companies. Heading in GREEN relate to articles about European manufacturers. GLOSSARY: Additional words have been added to the glossary. The total is now over 640 entries. INFO SEARCH: Some additions and reworking of the inquiries on the info search page have been put in place. Unfortunately there has been a minimum degree of input response to the info search, although the inquiries about other axes and axe brands have been increasing, which is fine. If you should have a comment or question please click on the link at the bottom of the page. We will do our best to respond to all reasonable communications. Written descriptions without photos are very difficult to respond to. If possible, send a picture. One area we do avoid involves pricing or responding to questions related to the of value of an item. There are way too many variables involved that cannot be honestly responded to. Using the menu is quite simple. Click on a title in the above list and that information will come up. As more and more material is added to the site the response time may increase so we ask for your patience. A book on axes and associated tools as well as a growing number of books on axe manufacturers are available in addition to the “Spokeshave Book”. More booklets are “in the works”. (see below) Scroll to the lower portion of this page for more information. Thanks for checking us out and please come back often. SITE NAVIGATION: The content list under the header on the first page of each article indicates the articles and sections currently available on the site. 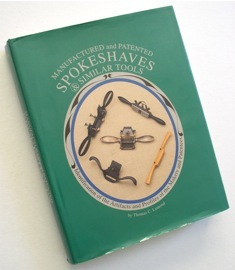 The “Spokeshave Book” is still available. The full name is Manufactured and Patented Spokeshaves & Similar Tools. Written and published by Thomas C. Lamond, it is the most comprehensive book on spokeshaves available. The book includes 450+ pages of photographs, illustrations and information on spokeshave types, styles, manufacturers and patentees and more. Great for identification purposes. Available through this web sight. to any of the lower 48 states. Additional options and other rates upon request. AXE BOOK AVAILABILITY: Our first booklet published is entitled AXES and ASSOCIATED HAND TOOLS. It deals with a variety of tools related to the Logging, Lumbering and Related Industries. Some of the topics are not known to be included in any other readily available reference book. Currently the book includes 150 pages. This book has been published in a limited quantity and reprinted once. Depending on demand it may be reprinted again. ARTICLES IN BOOKLETS: Some booklets have been reprinted and are again available. They concentrate on individual companies or groups of companies. Many include information on purveyors as well as manufacturers. 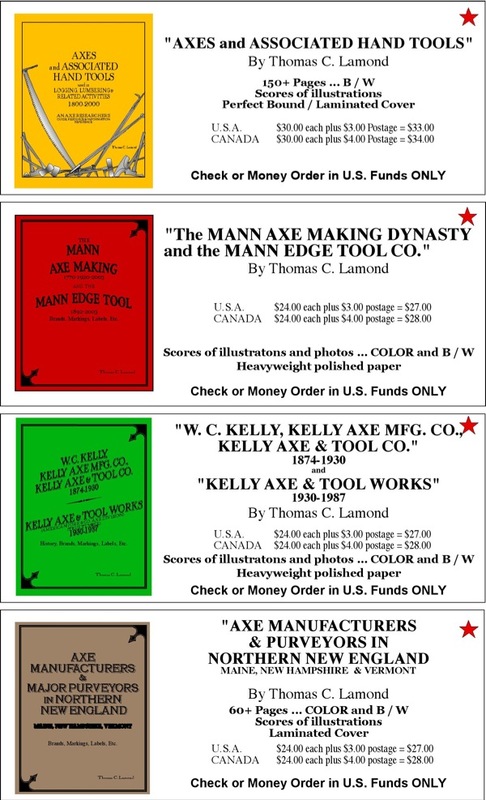 The booklet on “PHILADELPHIA AXE MANUFACTURERS” also has a related article that is associated with the Plumb Company and another on the Beatty Edge Tool Makers. The “MANN” booklet includes an article on the Lincoln Axe. 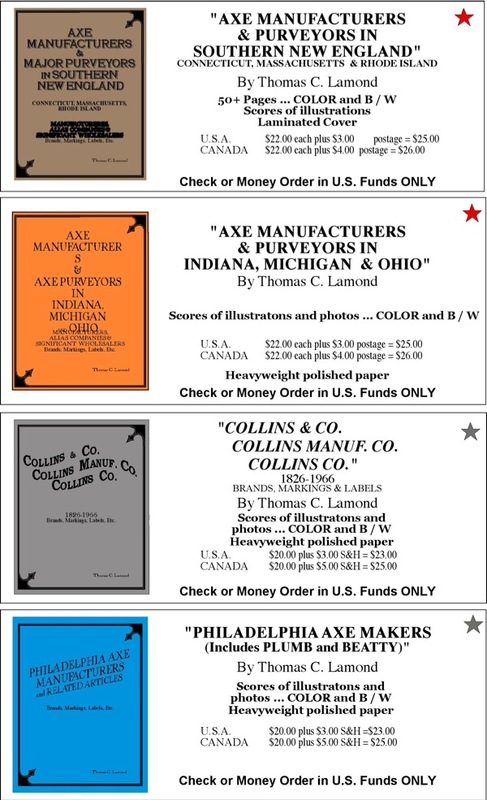 The booklet “AXE MANUFACTURERS and AXE PURVEYORS in INDIANA, MICHIGAN and OHIO” includes a short discussion on the Michigan axe pattern. The "Axe Book" and the booklets on axe companies have been printed in limited quantities. They are subject to availably. There is usually considerably more information in the booklets then the sections on the same companies that appear on this web sight. There are cases where we just do not get the mail, not even in the spam folder. There are other situations where we do get the mail but the response is returned as undeliverable. In most cases we respond within a day of so but there are case where that takes longer, especially if we are away at a tool meet, doing research or whatever. If in doubt try again in a few days or mail a note to the address noted for the books (below in the book section). IN ADDITION .... There are a limited number of situations where we respond to an inquiry and receive a followup with a question that is already included on this website, already answered via email or “run-on/redundant”. We do not use our time to respond in such situations.  COMMUNICATION FORMAT .... Sending requests for information is encouraged but so to are proper manners and appropriate writing format. We do not subscribe to the lack of capitalization or punctuation and we do not care to try to interpret shortcut abbreviations. Inappropriate language and demands are unacceptable and will not be honored. Signed email generated in proper communication format will result in timely, forthcoming responses, some of which will be researched to enhance or focus on the response. This service is provided on a gratis basis to interested parties. Many of the articles have been noted near the bottom of the page in regard to them being included in any of the booklets noted below or booklets in progress. In just about every case there is more information in the booklet than on the website. The book “Axes and Associated Hand Tools” is considerably heavier that the other booklets and is printed in black and white. There is no color which has helped keep the cost reasonable. Each booklet is bound with a heavy index stock cover that helps keep costs more manageable and the weight down. It has come to our attention that for some unexplained reason occasionally something “shifts” as it is being uploaded. This is a rare occurrence but nevertheless it has happened. In one situation one page was duplicated and completely overlaid on top of another. In any situation where you think a “shift” or “glitch” has occurred PLEASE call it to our attention and the problem will be rectified the next time an upload is initiated. It has also been discovered that on some labels some letters seem to be missing. That is due to a shortcoming in one of the drawing programs involved especially when words are bent and the size has been modified. Let us know and it will be corrected with the next upload. Mentioning the article and approximate location will help considerably. Use the email contact at the bottom of any article page to get in touch. It is anticipated that any subsequent booklets, original or updates, will be produced with a clear laminated cover. EACH OF THE LISTED BOOKLETS ARE LIMITED ADDITIONS. The price per booklet is determined by the general number of pages. Currently there are four groupings. The costs of shipping and handling are determined by the weight category of each booklet. The total prices listed are for each booklet so ordering more than one booklet at a time is usually determined by adding the price of each booklet with the S & H for each booklet determine the total. Most mailings are within the Media Mail classification. Considering that each title is a Limited Edition, an additional edition will only be printed if it is indicated by purchaser interest. We do not discount prices for secondary sellers or bulk buyers, however the shipping will adjusted to accommodate a bulk buyer if quantities so warrant. We do not provide evaluations. Click on one of the topics in the menu box at the top of each section to go to a different department or article. We DO NOT provide evaluations related to any artifacts ... no prices ... no rarity. There are too many variables.